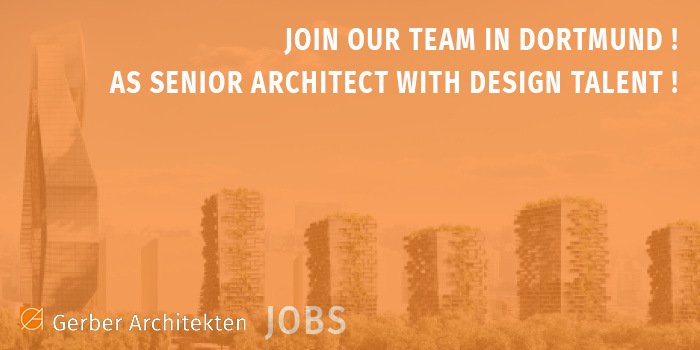 We are currently looking for an experienced Architect at our Dortmund office to join our team for working on international design competitions in Asia as well as on commissioned designs. We are growing continuously and are always looking for committed employees with whom we can put our high architectural standards into practice. No matter whether you would like to contribute your own innovative ideas to our competition team from the very beginning, secure the requirements of the designs through careful and well-considered planning, or contribute to a high-quality, as well as on-time and on-budget implementation of our projects – we look forward to your support. We work not only through all phases of the HOAI, but also in interdisciplinary project teams of architects, civil engineers, interior designers, landscape architects and urban planners. We also deliver a wide range of building types, including office and residential buildings, commercial, health and educational buildings, laboratories and research facilities, as well as buildings for art and culture at all three of our German locations – in Dortmund, Hamburg and Berlin, as well as at our international locations in Riyadh and Shanghai. In short – we offer the entire professional spectrum in one company. Mareike Scheiper, Telephone: +49 231 9065 103. 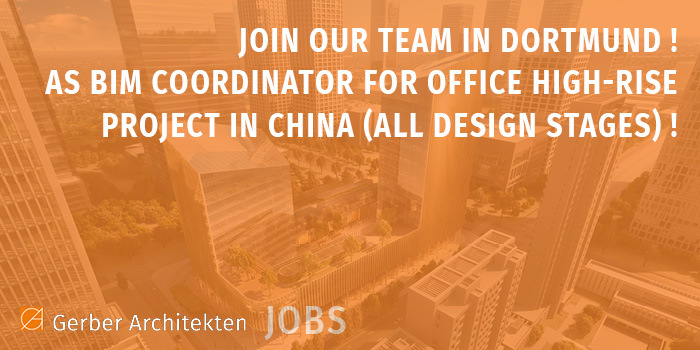 We are currently looking for an experienced architect at our Dortmund office to join our design team as BIM coordinator for a large office high-rise project in China. We are growing continuously and are always looking for committed employees with whom we can put our high architectural standards into practice. No matter whether you would like to contribute your own innovative ideas to our competition team from the very beginning, secure the requirements of the designs through farsighted planning, or contribute to a qualitative, as well as at the same time cost and on schedule implementation of our projects – we look forward to your support. We work not only in all phases of the HOAI, but also interdisciplinary in our project teams of architects, civil engineers, interior designers, landscape architects and urban planners. At the same time, we cover a wide range of sectors, such as office and residential construction, commercial, health and educational buildings, laboratories and research facilities, as well as buildings for art and culture at all three of our German locations – in Dortmund, Hamburg and Berlin, as well as with options at the Riyadh and Shanghai locations. In short – we offer the entire spectrum of the professional field of Architecture and Urbanism. Monika Schulze, Telephone: +49 231 9065 100. 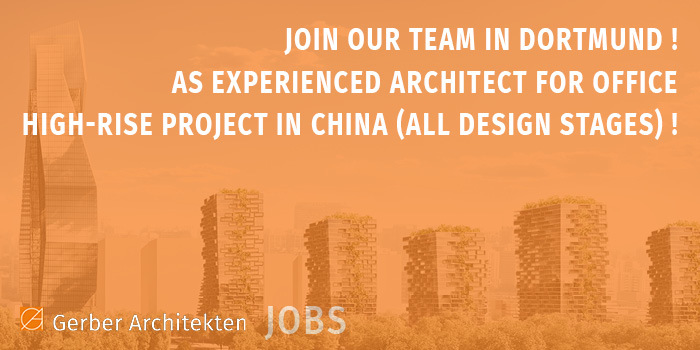 We are currently looking for an experienced architect at our Dortmund office to join our design team for a large office high-rise project in China. company health management and sports activities.